I'm changing it up here today with a little Q&A about moi. The lovely Dina over at Honey & Fitz tagged me to play along in the 11 Questions posts. •You must post the rules. •Answer the 11 questions that the tagger posted for you; then create 11 questions to ask the people you've tagged. •Tag 11 people and link them in your post. •Let them know you have tagged them. 1. What is the #1 most played song on your iPod (or other mobile device)? Pretty much anything by Adele lately. I just love her and her voice! 2. What is the last movie/tv show/book that made you cry? I hate to admit it but it was Parenthood the other night. Sappy I know, but that show makes me tear up every week. 3. What story does your family always tell about you? Hmm, I don't think they tell any stories about me. This is a hard one I might have to cheat and pass on this one. 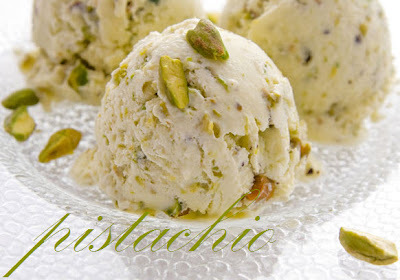 Hands down it's pistachio, I'm obsessed. Belgrade Lakes Maine. Growing up I spent my Summers up at my Grandparents lake house and it is, by far, the best childhood memory I have. They recently sold the house and it make me sad to know I can't just drive up to "my lake" anymore. I hope one day to start the tradition all over with my own family and my own Maine lake house. 6. What is the furthest you've ever been from home? 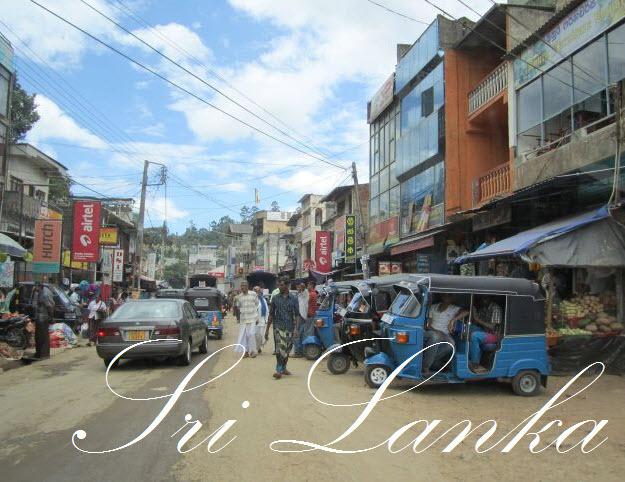 Last Summer I traveled to Sri Lanka for my second wedding. It is where my husband is from and it was the trip of a lifetime! 7. What is the oldest item you own? This is a hard one because I have so many old things from both sides of my family. 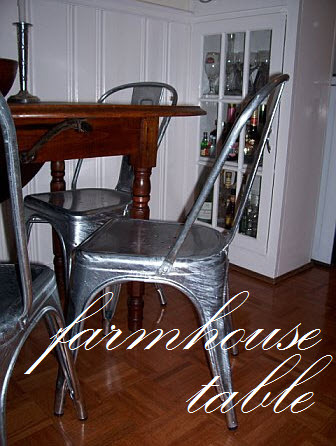 But, if I had to pick just one I guess it would be the old farmhouse kitchen table. It was the kitchen table my Dad sat at growing up and he told me it was made by hand and is over 150 years old. 8. If you had to pick 1 place in your town to bring a tourist, where would you take them? The North End. 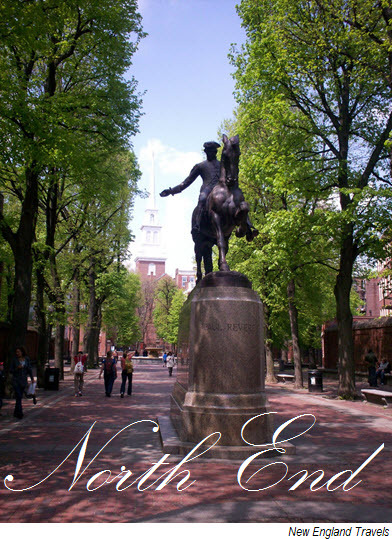 Not just because I used to live there, but because it has so much historical significance that it can't be missed when you visit Boston. My old apartment was right in back of the Old North Church and every Sunday my roommates and I would wake up to Sunday morning service in our front yard. Literally our family room window overlooked the sanctuary. Needless to say our views were priceless. Oh, and you cant visit the North End without eating. It's the best Italian food around! 9. What one food do you never get tired of? 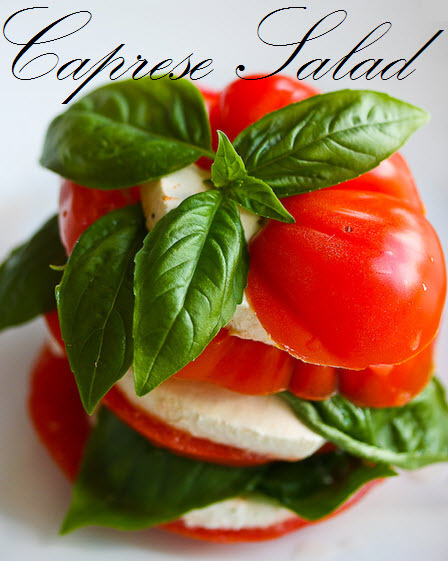 Since I was talking about Italian food I am suddenly in the mood for a caprese salad. I could eat one of these for every meal- I love them!! 10. You have to move out of the country RIGHT NOW. Where do you go? No question it would be Madrid, Spain. 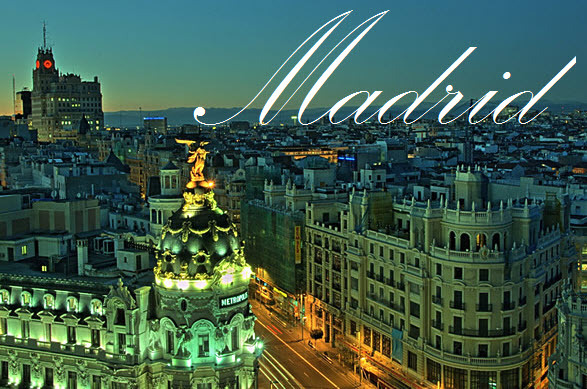 I decided to go abroad my Jr year in college and picked Madrid because my minor was Spanish. I went all by myself (not knowing a single person) and lived with a host family for 4 months. It was one of the best decisions I ever made. I love that city so much and would LOVE to be able to go back and live there again. 11. Are you a morning person or night person? Hmm, I would have to say morning. 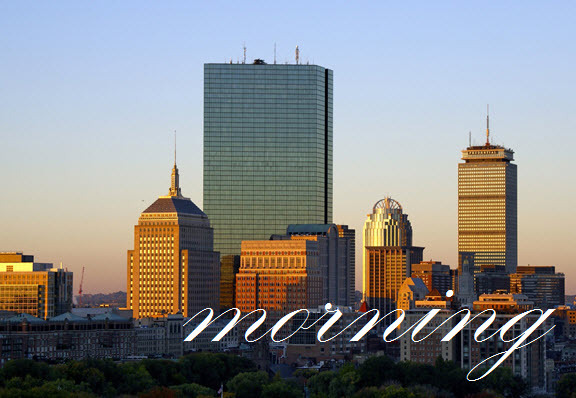 While I dont like getting up to the sound of my alarm I am not a crabby morning person, I am usually in a good mood. 1. What is tops on your bucket list? 2. Whats your favorite tool in your toolbox? 3. What's the best quality about yourself? 4. If you could drop what you are doing right this second and go somewhere, where would it be? 5. If you could be an animal what would you be? 6. What is one junkfood/candy/snack that you can't get enough of? 7. If someone offered you a $5,000 shopping spree to just one store, what store would you choose? 8. If you could live anywhere in the world (besides where you live now) where would it be? 9. Chocolate or hard candy? 11. What's your most treasured item in your home? I cant wait to hear all about these ladies! Oooh how fun!! Thanks for tagging me :) And I agree, pistachio ice cream and a lake house all the way! Parenthood is sooo good. the last 2 eps had me crying! I'm also obsessed with Parenthood! Thanks for including us! We are excited to share our answers!! Cute idea!! 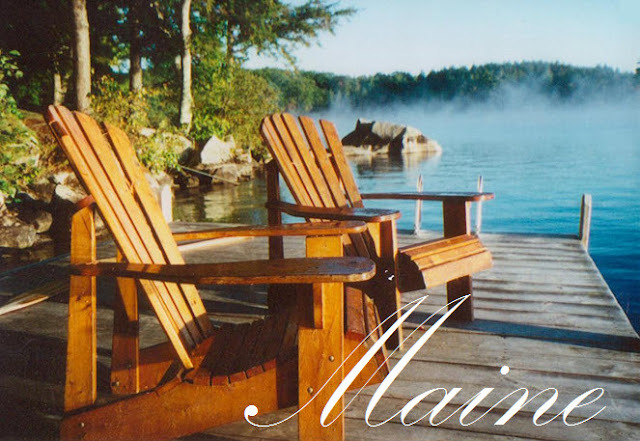 I love when I hear of blogger's love for Maine. I was raised in the Portland area. I lived there until I went to college. I appreciate it so much more now that I am older. Hope your lakehouse dream becomes a reality! I don't think 11 people read my blog anymore:)love your pics! ooh had not seen one of these in a long time! Thanks for tagging me!